Considering that I was one of these teachers, I have begun to question the practice of relying on method books as a primary curriculum. In fact, I suspect that method books may be part of the reason that some students can’t navigate intermediate music despite having played for several years. 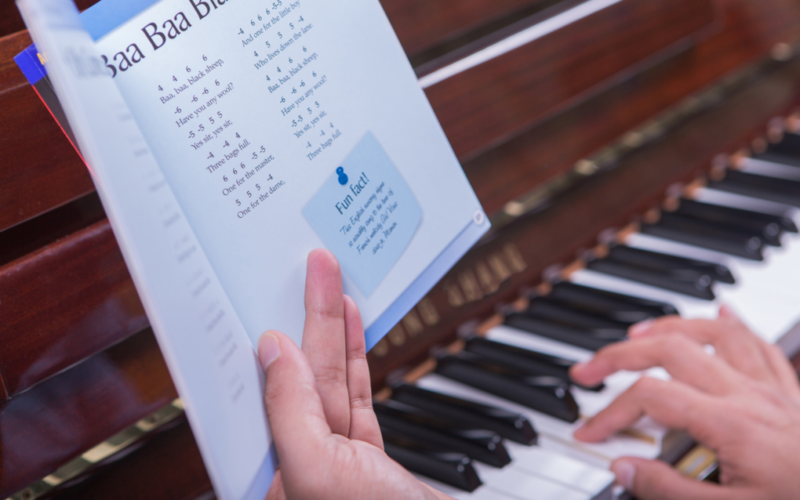 In this article, I’ll discuss some of my concerns with many method books along with some ideas to consider in order to make higher levels of piano playing more accessible in less time. Since many method books have comparable pacing and introduce concepts similarly, I’ll speak about them generally here. I do not wish to criticize a specific piano method, rather the concept of method books in general being used as a curriculum. into the world of pedagogy. Despite my criticisms, I do believe method books can be quite useful. However, I feel caution must be exercised when exclusively relying on method books to train beginning pianists. commitment. At some point early on, I decided to go all in on one of the most popular methods with the mindset of realizing the ideal intentions behind the method. avoid skipping pieces or pages and instead found a useful way of teaching all concepts. I ended up implementing and testing the full curriculum on my students over the period of a few years. My conclusion after observing the results is that we can probably do a better job if we use more specialized resources. Many of you are probably thinking that I should have known not to use method books as a replacement for an individualized curriculum. Unfortunately, as a young teacher, I lacked the knowledge and experience to work out exactly what each student needed to be doing at each level of play. How do I know what to teach and when? 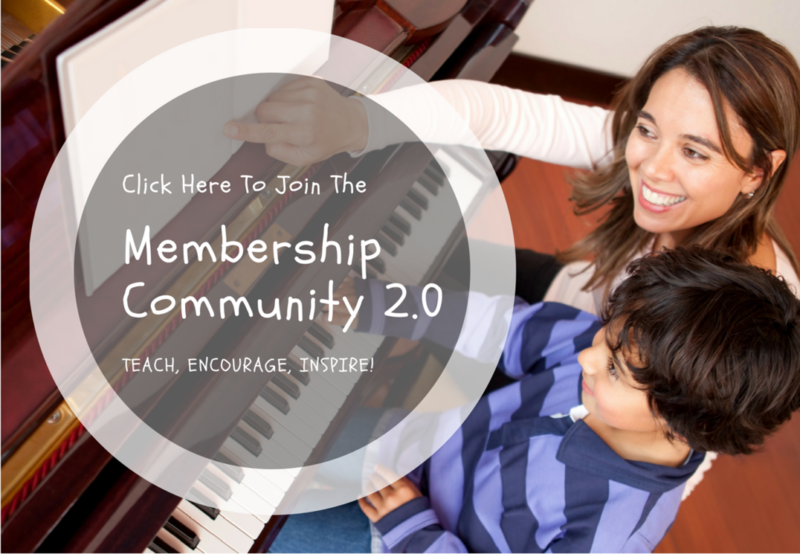 After all, teaching piano is complicated enough that an entire industry exists around it. 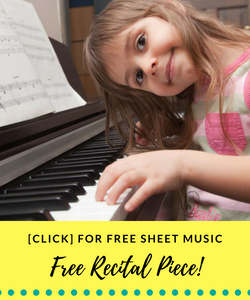 At first, piano methods seem like great solutions to learn how piano students should be paced. They feature scaling repertoire graded by level, relevant technical exercises, reading and theory reinforcement, and so on. What could possibly be the problem with this? The biggest problem that I noticed when I relied exclusively on method books is that students (of widely varying ability) remained beginners for far too long. There were too many inefficiencies, concepts, and pieces at each level and things always seemed to feel too slow. In my opinion, many methods wait too long to introduce concepts which would otherwise allow students to progress to more difficult music. Maybe I am old school, but I believe emphasis should be placed on playing in all keys and positions as early as possible. Students should work to develop a technical routine that places them on the path to scales, arpeggios, and other standard technical concepts, and I find this difficult to do while following a method book curriculum. Technical development should not be limited by the ability to play repertoire. In reality, it’s the other way around. In many method books, pieces and technical exercises are introduced in the same keys at the same time. In theory, students are given only the exercises they need, when they need them. In practice, students struggle to move on to more difficult music because they don’t realize how temporary the concept of C or G major is in their development. Navigating many popular methods that use multiple books feels unnecessarily complicated. I do not find many of these books to be very straight-forward in terms of presentation, with the noted exception of the adult all-in-one books (these are actually very helpful). Why do we need so many books? Jumping back and forth between books and trying to match everything up feels cumbersome to navigate. I always aim to train my students to become self-sufficient, but I don’t think this is even remotely possible while they are still in method books. They need my assistance on absolutely everything because it is not obvious to them which piece comes next or how to progress forward. Another complication that comes to mind is that some pieces in these books, especially very early on, use strange and very proprietary concepts that students will rarely encounter in real piano literature. These pieces can sometimes be a fun detour, but they seem a bit abstract and out of place. Many methods are very well-rounded in their approach, constantly zigzagging between lesson concepts and repertoire, but it’s not always obvious what we are trying to achieve at any given moment. Everything sort of blends together. Concepts are very broad and don’t appear to be building to anything bigger. It can be difficult to extract some of these concepts into something that can turn into a practice routine for a student. This is probably by design and represents a difference in opinion as to how learning should be structured, but I feel there is a lack of focus and clarity. This is another area where my preferred style of teaching lends itself to be more traditional since I still use a segmented approach to lessons. If you are the sort of teacher who prefers everything to be very integrated, perhaps you should take my opinion with a grain of salt. That being said, I strongly favor isolating concepts and encouraging a structured approach to practicing, and I still practice this way as well. I believe there is great power in specialization. We should concentrate on the broad pillars of musicianship in detail, structure our practice around them, and revisit them with regularity. We are always building something in each major category of musicality. To achieve this, I recommend using the best resource for each of these “pillars.” Exposure to many pieces doesn’t work as well as a dedicated sight-reading book, for the purpose of reading fluency. The technical exercises in a method book make a poor substitute for a dedicated scale and arpeggio book. If a student isn’t ready for scales, you can use pentascales and resources based on 5 finger patterns, which students may find more direct and accessible compared to encountering them for the first time in a method book. I generally turn to other resources to develop supporting skills because I don’t feel the method books do it best. In my opinion, teaching resources should be very focused on what ends they are trying to achieve. My approach is to mix and match resources for different uses and use the best tool for the job. Where do method books fit into all this? The best way for me to make use of method books at this point is to use them as graded repertoire and allow students to survey music of different styles to learn what they like best. Additionally, I find it useful to take into consideration which musical concepts are being suggested along with the repertoire. Also, I have come to realize that beginner classical repertoire is not very interesting to students compared to pieces encountered later. Many method books feature compositions that sound more impressive and interesting than their classical equivalents; this is where method books can really shine! Once students can handle intermediate repertoire, I turn away from the method books completely. You will know it’s time because the method books themselves start featuring some standard classical repertoire. I find it more useful for students to encounter these sorts of pieces as part of a collection of works that they can reference later, rather than in a method book (which might get thrown away). To summarize, I feel that method books focus too much on the journey at the expense of the destination. While I find it believable that many teachers have discovered a suitable use for piano methods, I feel it is necessary to share my concerns about the idea of outsourcing our curriculum to the music publishers. 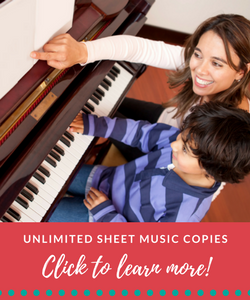 How would you like to gain instant and unlimited access to over 1,000 pages of sheet music and resources in our growing online sheet music database? Click the pic below to learn more!